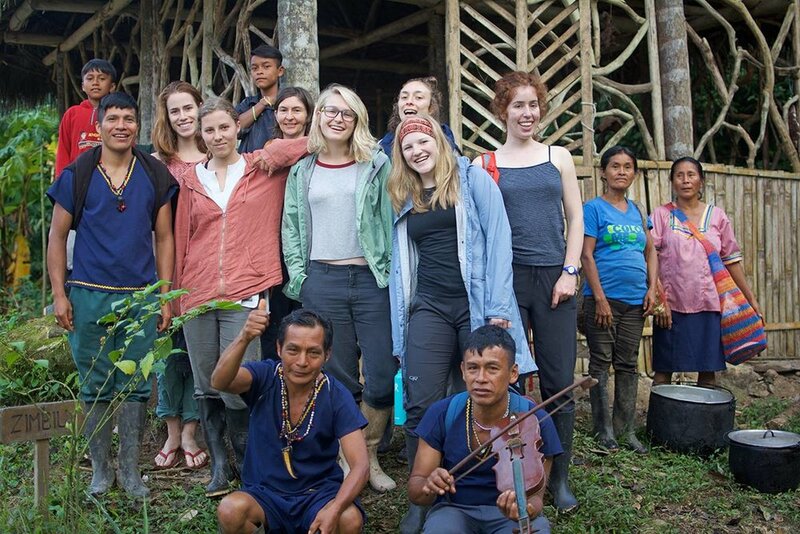 Join us as we trek out to a local community to learn about the food, culture, and beauty of the Amazon, with stories and experiences brought to you by voices of the Amazonian indigenous Kichwa community members. We think of these experiences as the equivalent of a "living museum" where you get to learn about a culture from the people themselves. Join the community for an inside look into the history, traditions, and export of guayusa, a native Amazonian tea. You'll experience a sunrise guayusa ceremony, departing at around 4:30am, drive out to the community, hike about 20 minutes in the dark with the stars, and sounds of the bugs and river. We spend the morning with the community leaders who explain the traditional significance of guayusa, interpret your dreams, talk about shamanism and provide an optional cleansing from the community's Shaman (if you'd like) They cook us a delicious local breakfast, and then we go on a tour of a chakra (traditional agroforestry garden) from one of the community leaders. After the chakra tour we can go swimming and talk about Runa's founding and answer questions about their unique social enterprise model and the tea exportation process.